The film by the famous Italian director who was born in Sicily tells about the happy days of Italian cinema. The story of one Sicilian boy Salvatore.The picture won the "Oscar" as the best foreign language film and two awards "Felix". Filming took place in the Sicilian town of Cefalu and Palazzo Adriano in the province of Palermo. An adventure movie tells about two divers. 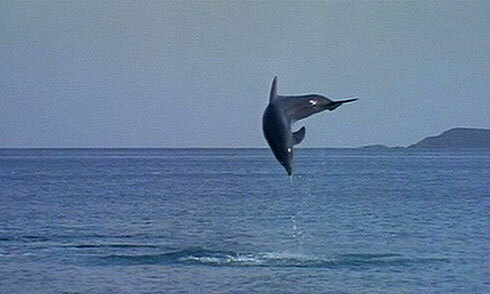 We recommend this film to all lovers of the depth of the sea. Filming took place in Taormina. 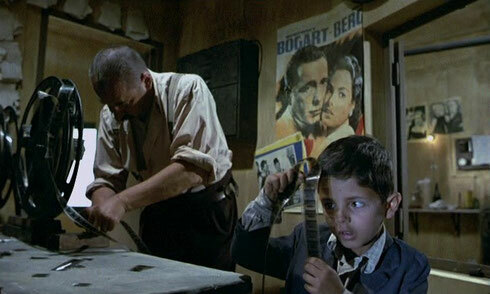 The movie also directed by Giuseppe Tornatore. Starring the charming Monica Bellucci. Filming took place in the historic center of Syracuse, Ortigia. Melodrama centered on the story of a young nun who for the first time has the feeling of love. The film was shot in the vicinity of Etna. 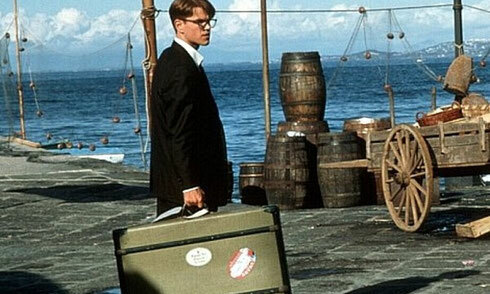 The film is about a beautiful but sad friendship between the famous poet Pablo Neruda, exiled from Chile to a small Mediterranean island, and a modest postman. Filming took place in the Aeolian Islands. This is a masterpiece of cinema. The plot of the film is about a beautiful and rich woman concealed in a desert island. Her lover and her friend try to find her. Film set in Bagheria, Milazzo, Taormina, Messina, Syracuse and Noto. The movie is a real cliffhanger, that tells of a young man who has a talent for transformation. Based on the novel by Patricia Highsmith, the film set in Rome and Naples, as well as some scenes were shot in Palermo. 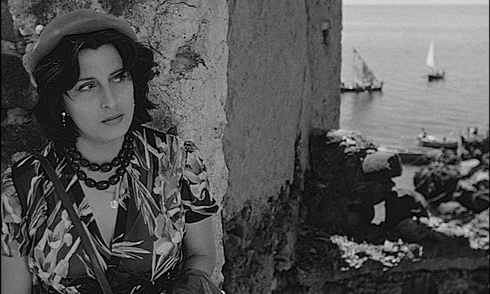 Great Anna Magnani plays the woman who has to leave Naples for a small Sicilian island. The film was set in the island of Stromboli. Sportswriter Lenny and his wife Amanda would like to have a child, but Amanda is too busy to be pregnant. They adopt a child that soon shows outstanding talents. Lenny wishing to understand where these talents come from, goes to search the biological mother of the child. The film won the "Golden Globe" and "Oscar". 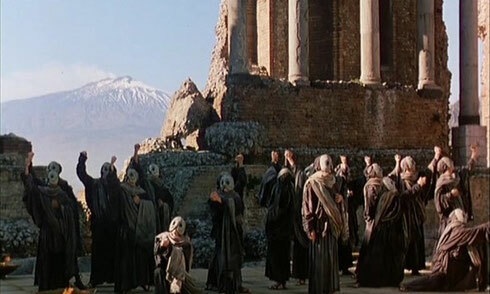 Some scenes of the film were shot in Taormina. An Italian tragicomedy starring a young Stefania Sandrelli. The film tells of the respectable man's daughter who was seduced by her sister's fiance. The father organizes a manhunt not for revenge but to restore the family honor. 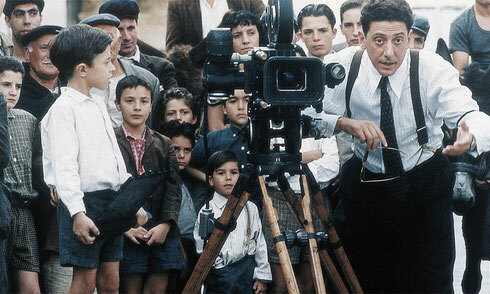 The scenes were made in Sciacca and Santa Margherita Di Belice, in the province of Agrigento. Carmine Bonavia is a quirky politician who tries to become mayor of New York. To win the election he proposes to legalize drugs, but this idea doesn't seem good to the local mafia. Some scenes were filmed in Palermo. Ingrid Bergman plays a displaced Lithuanian who marries an Italian fisherman to escape the interment camp. 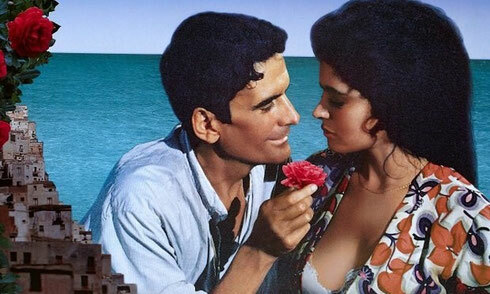 He promises her a good life in his home island of Stromboli. Karin has difficulties, and eventually wants to escape the volcano island. 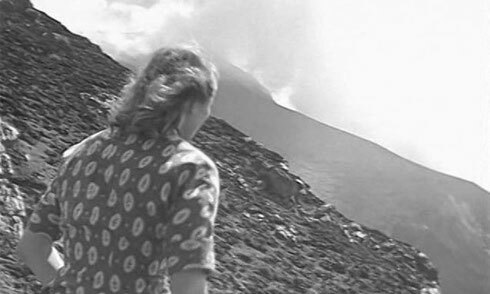 After this film Stromboli has become one of the most famous islands in the Mediterranean. 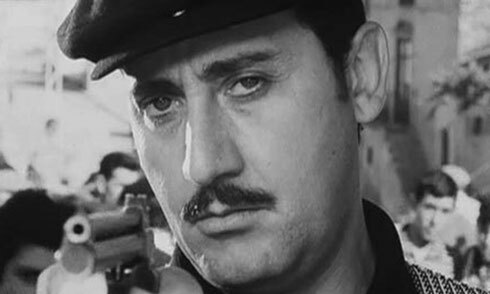 This black and white film that was shot in 1960, tells of a handsome Antonio adored by women. 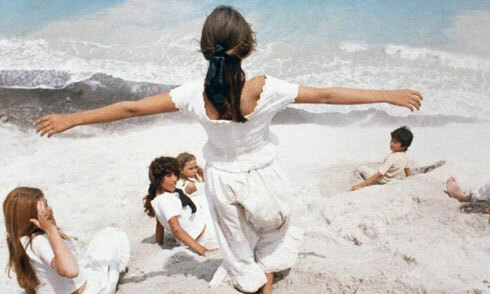 The scenario by Pier Paolo Pasolini, starring Marcello Mastroianni and Claudia Cardinale. Filming took place in beautiful Catania. Baaria (also known as Bagheria) is the name of the mother town of maestro Tornatore. 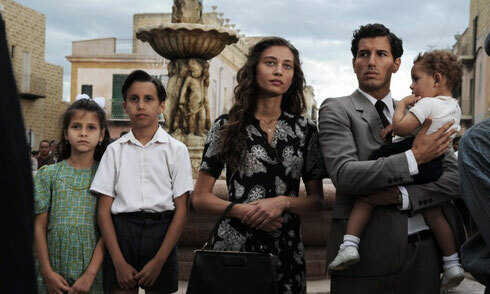 The film talks about the mentality of Sicilian families. The movie won the Oscar. One of the most successful films in the world, it also won "Palme d'Or" at the 1963 Cannes Film Festival. It is about the civil war between the Republicans, supporters of Garibaldi, and the supporters of the ruling dynasty of the Bourbons. The film was shot in Palermo and surrounding towns. The film is about a prestigious Uzeda, a Sicilian family faithful to the Bourbon kings, with the Unification of Italy in 1861 and the rise to power of Giuseppe Garibaldi and Vittorio Emanuele II, begins to lose his power, although Sicily remains in the hands of Prince Giacomo (Giacomo Uzeda). Filming took place in Catania and surrounding towns. The film tells of the hard life of Sicilian fishermen. The actors, all amateurs, reveal the deeds of these men of the sea. 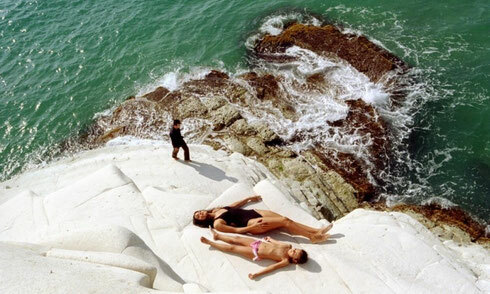 The film was shot in a small fishermen town of Aci Trezza. Leonardo a psychoanalyst experiencing some existential problems. Together with his sister, they come back to the places of their childhood to reveal the secret that forced their family to leave Sicily 25 years ago. The drama about a friendship between a boy who recently lost his parents and a young teacher who moved to Sicily from northern Italy. The boy has to work and can not attend the school. Teacher is amazed by the courage of the child, and the boy sees his father in the new teacher. The brilliant comedy from the acclaimed master of satire ridicules the Sicilian traditions. Very funny movie about a ruined aristocrat who can not divorce with his wife to reunite with a young lover. It comes from the fact that in Italy and especially in Sicily, with its strong patriarchal principles, there is no institution of divorce. 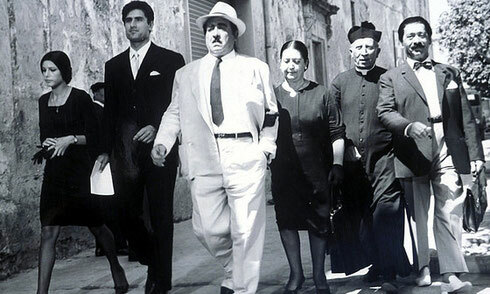 Filming took place in Ragusa, Catania and the surrounding area. The members of a rich Sicilian family gather together at the family villa in Sicily to mark the anniversary of the death of a relative, the father of a young man Nino. At the anniversary Nino meets his aunt, beauty Chettina, who he hasn't seen for two years. The aunt becomes the first love of Nino. Very good movie with wonderful music by Ennio Morricone and beautiful Gina Lollobrigita. The film was shot in Catania, Acireale and around Mount Etna. On a warm spring day, the opening of the polling station in a school in Sicily stopped by four men who are unemployed, angry and armed. They threaten to seize the school. Filming took place in Marzamemi near Catania. Beautiful and strong film starring amazing Charlotte Gainsbourg tells about hard times in Sicily in the early 20th century. The story of a Sicilian family, forced to emigrate in search of a better life. The magnificent landscapes of Sicily. Another film by Crialese. 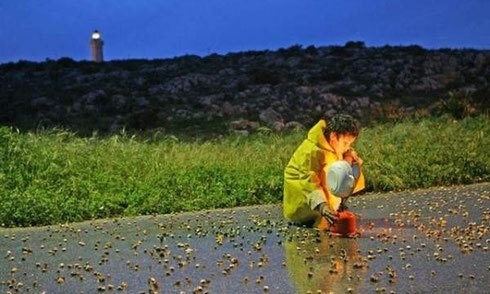 The movie telling about a family living in a small Sicilian island of Lampedusa. The head of the family - a fisherman spends all his time at the sea. His still young and beautiful wife suffers in this stifling, smelly space. The more she tries to escape, the more seems crazy. 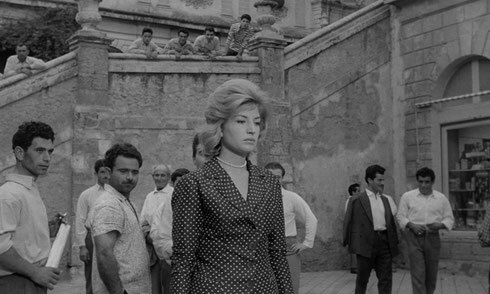 Deep film about the mafia, which begins as a comedy of manners in Sicily, but gradually turns into kind of tragedy. The protagonist, a car factory worker, brings his family to Sicily to show them how beautiful is his homeland. 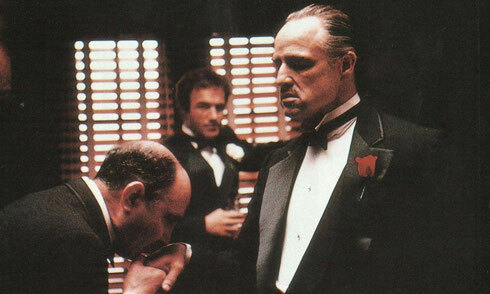 However, it seems that he has forgotten some features of the Sicilian mafia. The drama about two brothers who live without a father and with a beautiful mother in the house, nestled among the vineyards of Sicily. The action takes place in 1960 and covers 30 years of their lives. Breathtaking Sicilian landscapes were shot near Etna. The comedy about the adventures of a regular school bus driver with a big name Dante, who, as it turns out, looks like a Sicilian mafioso nicknamed "Johnny Stecchino". 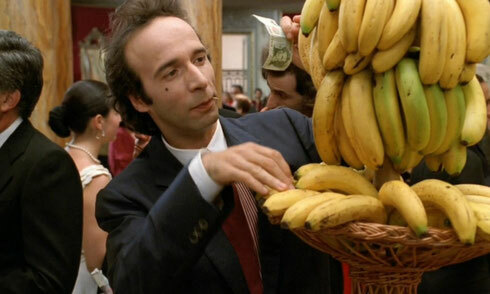 Starring the master director Benigni and his beautiful wife Nicoletta Braschi. The film was shot in Palermo, Catania, Taormina, Letojanni and Giardini Naxos. 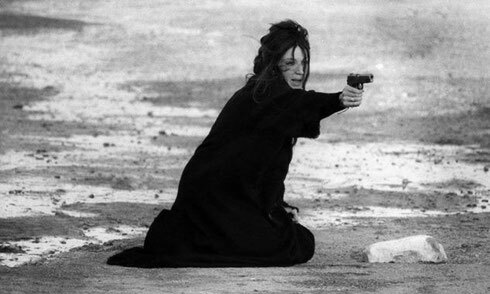 In the late 70's - early 80's several murders of government officials in Sicily shocked Italy. This film is the true story of General Carlo Alberto Dalla Chiesa, who was appointed prefect of Palermo to fight the mafia. The brave general who was a prefect of Palermo for 100 days, became the prototype of commissioner Cattani in the cult TV series "The Octopus". This documental film tells the story of Dalla Chiesa. A teacher Mario, played by Michele Placido, works at a school for specific teens. Very often young pupils go from this school directly to jail. A young transvestite Mery also appears in this terrible place. Mario desperately attempts to change the wrong system of the school where people are treat like animals. 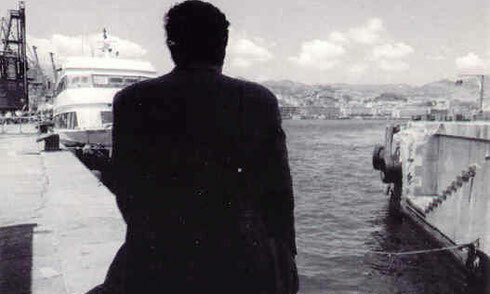 A strong film, which was taken in Palermo. Italian black and white historical drama was made in 1934. The film about the struggle for freedom of Italy was created, according to the director, under the influence of Soviet cinema. 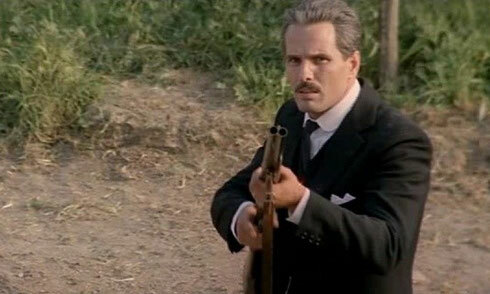 Essentially, the action takes place in Sicily, which is ruled by the Bourbons. A simple peasant leaves his wife and goes to Genoa to find Garibaldi, because Sicily is in danger. 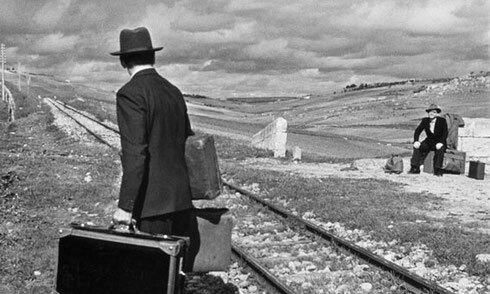 One of the best pictures by Taviani brothers. 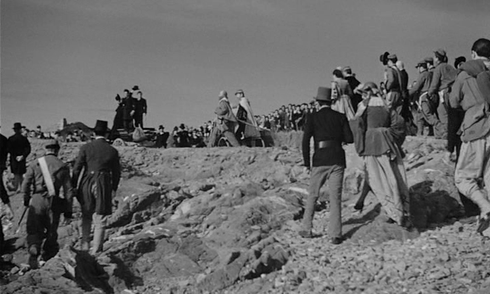 The action takes place in Sicily at the end of XIX century. 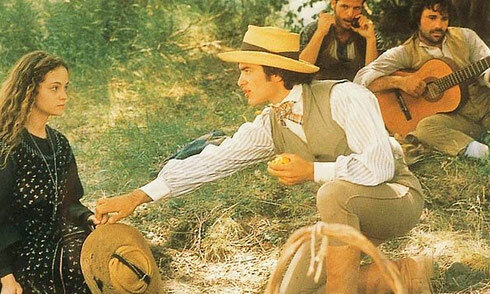 The movie depicts four short stories from Italian classic Luigi Pirandello ("The other son", "Moonsickness", "The Jar" and "Requiem "), and also includes an epilogue "Conversing with Mother". The silent Italian films was made in 1914. The action takes place during the Second Punic War in Catania. The Etna eruption turns the city into ashes. 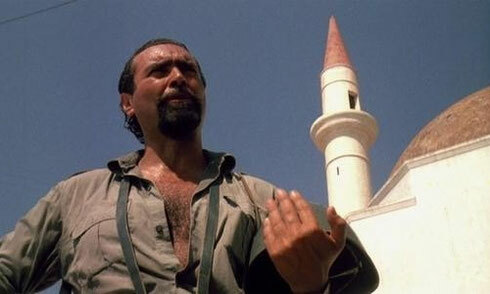 Patrician Batto is convinced that his only daughter Cabiria died during the eruption. However, the girl, saved by her nurse, was kidnapped by Carthaginian pirates. This film is one of the most important movies in history. 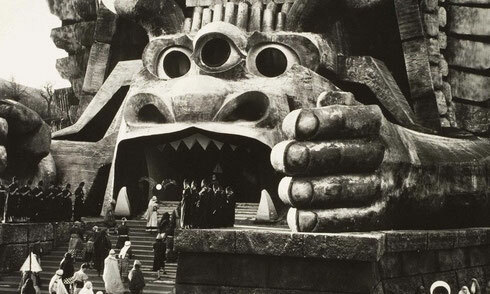 It influenced many directors and inaugurated a new kind of cinema art. The film was completely innovative for its time: unprecedented scenery, camerawork, constant change of scenes. Among other locations, the filming took place in Catania and surrounding area. 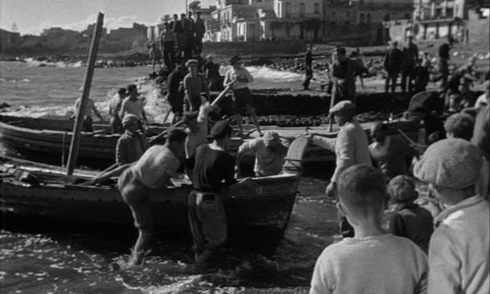 The action takes place before the World War II in Catania. Sicilian baron Paolo Castorina from his youth was sexually promiscuous, continuing the tradition of the male half of the family. Shocked by the suicide of his father, and his last words about the family curse - syphilis, Paolo decides to put a stop to promiscuity, and goes back to his native Catania to marry a virgin Katrina. But isn't it too late? 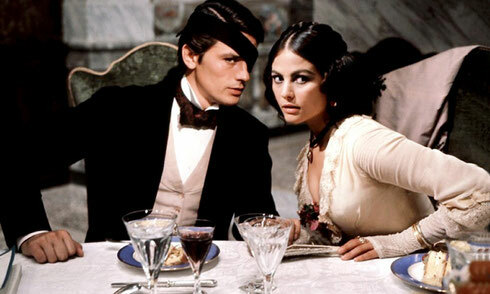 The film starring brilliant Giuliano Gemma and Claudia Cardinale tells about Sicily in mid-1920. The Italian government has decided to finally bring back law and order in Sicily, where violence prevailed and the mafia almost openly ruled the island. Gemma plays a real person, the prefect Mori, who comes to Sicily to fight the crime. Atmospheric drama based on the script by Federico Fellini. Simple Sicilian workers are forced to abandon the island in search of a better life. The movie that won "The Silver Bear" is an adaptation of the true story of a Sicilian bandit Salvatore Giuliano and his mysterious death. 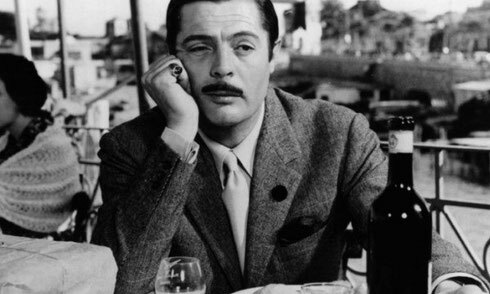 The film was shot in Montelepre, where Salvatore was born, and in Castelvetrano, where he spent the last month of his life, and where one morning he was found murdered. The film is set on the beautiful Sicilian island of Lampedusa. It's an attempt to understand the relationship between Italians and illegal immigrants from Africa who try to reach the islands of Europe on inflatable matrasses and hundreds are dying at sea. Maritime code requires help people at sea, which goes in conflict with the law stating that migrants should be taken to police and expelled outside European territorial waters. Poignant film in black and white tells a story of a man who, after several years of living in New York, returns to Sicily, his native land. Another picture dedicated to the legendary bandit Salvatore Giuliano, nicknamed by the people "Sicilian Robin Hood." Salvatore robbed wealthy landowners and distributed money to the poor. He wanted to achieve independence of Sicily and make it an American state. 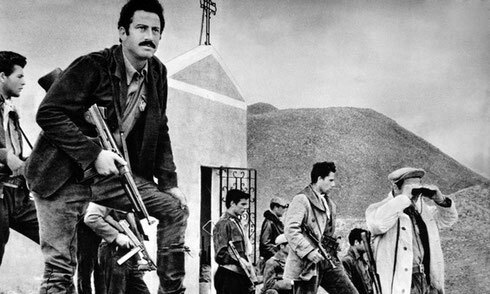 The Italian authorities, the mafia and the church are joined in the hunt for the rebel. 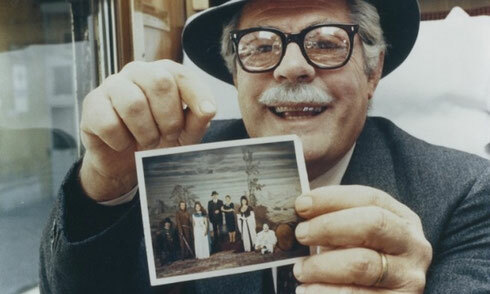 70 year father, played by Marcello Mastroianni, goes to visit his five children, to make sure they're okay. Children do not want to disappoint his father. Beautiful drama with music by Ennio Morricone. A part of the film was shot in Trapani. Drama starring young Ornella Muti. Sicily 1960. The young man wants to make career in the mafia. For this purpose, he decides to marry. His choice falls on the beautiful Francesca. Despite the fact that Francesca likes Vito, she rejects him for his arrogant behavior. Vito exacts cruel revenge on Francesca, but the proud beauty is not going to be in debt. Excellent comedy with Monica Vitti. Having only a gun in her luggage, Assunta leaves her native Sicily to find her offender and get back own. Trail leads to London. Another great movie by the Sicilian film director. Joe Morelli is traveling rural Sicily, offering to take screen tests of wannabe actors, for a fee. He claims to work for big Roman film studios, but he's a fraud. He meets several people who express their deepest feelings and secrets in front of the camera. In one of his stops he meets a young girl, Beata, who is a convent girl, she attaches to him, despite his protestation. 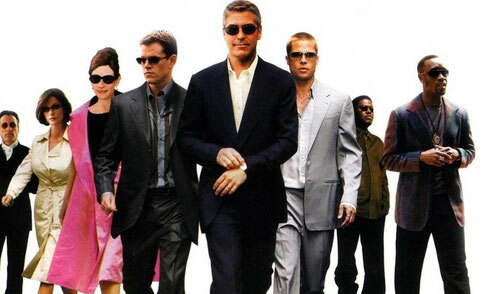 Adventures of Danny Ocean and his gangster friends. The team is going to commit three robberies in European capitals. Some scenes of the movie were filmed in Trapani, Sicily. 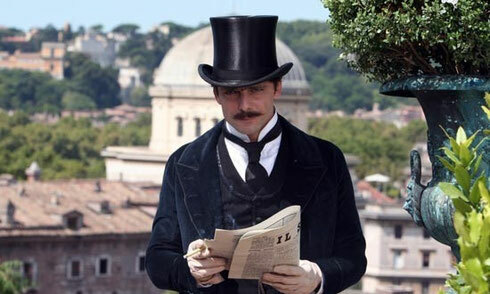 The film is set in Sicily in the late 19th century. Prosperous family adopt a girl named Nunziata. As a girl growing into a beautiful young woman, she falls in love with her adopted brother. 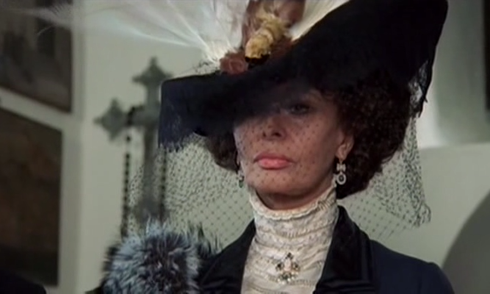 The mother of the family played by Sophia Loren is trying to prevent their relationship. 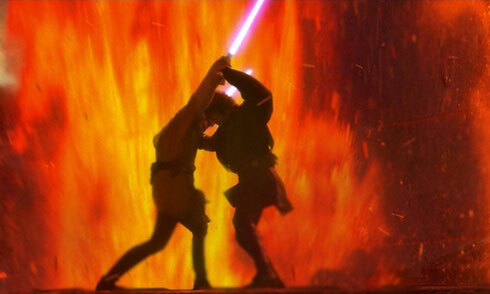 Although the film wasn't shot in Sicily, on the background of the scene of the battle on Mustafar there's erupting Etna. The crew was able to capture the eruption, and then the video was added to the legendary fight scene. 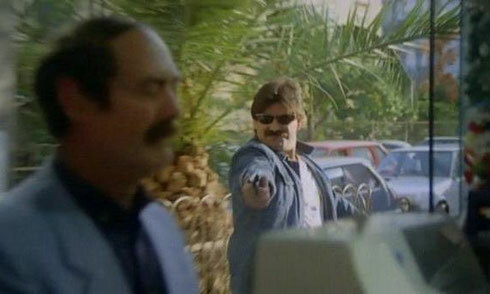 The legendary film telling about the fight between the Sicilian mafia and a young judge. 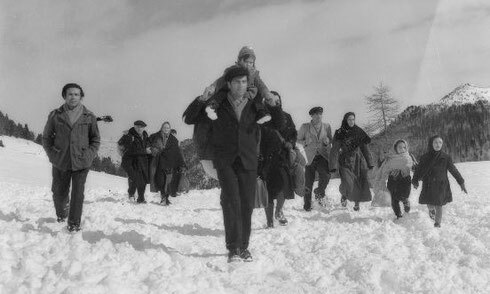 The film is the story of an Italian family Carati, covering the period 1966-2003. 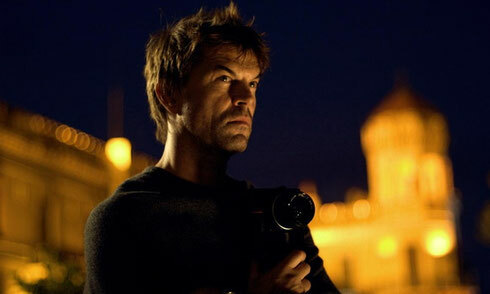 The movie won several awards, including a prize at the Cannes Film Festival. Filming geography includes Sicilian island of Stromboli. And of course, our list would be incomplete without this epic gangster drama that tells the story of the Sicilian mafia and Corleone family. 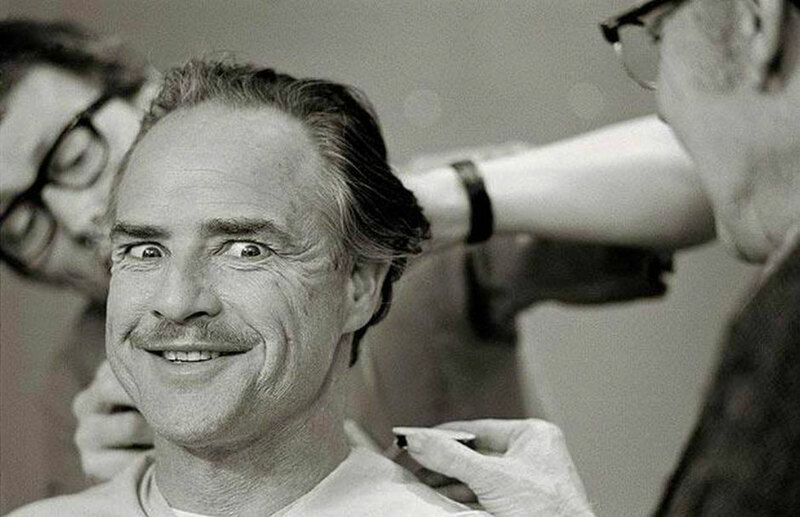 A film is an adaptation of the novel by Mario Puzo. It is considered the greatest gangster film according to the American Film Institute, and one of the best films in cinema history. 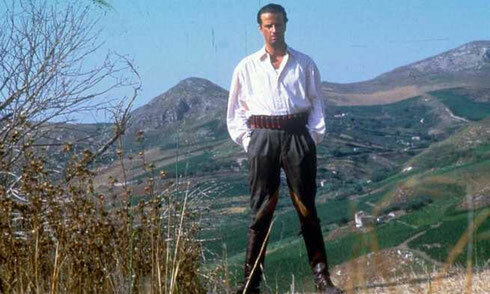 The film brought fame to Sicilian villages of Forza d'Agro and Savoca, that have become important destinations for the fans of the masterpiece.